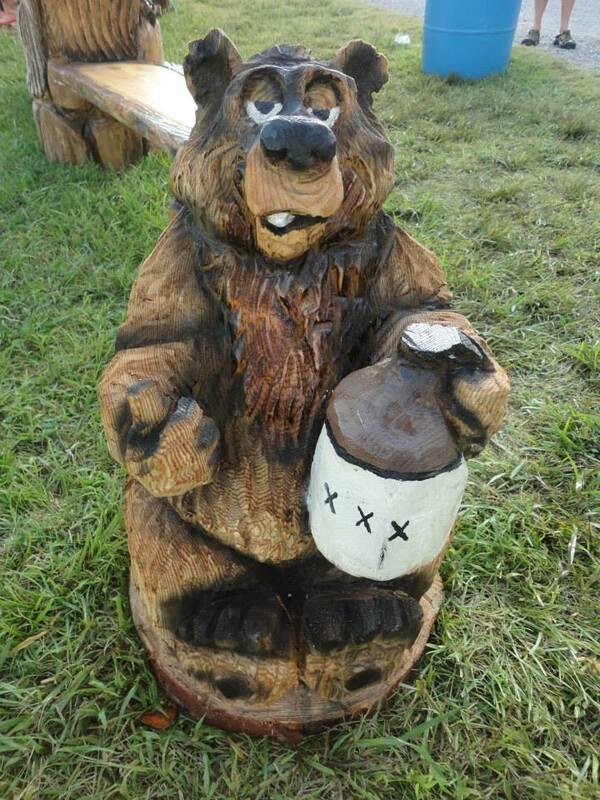 These bears have had one too many and provide a good laugh! 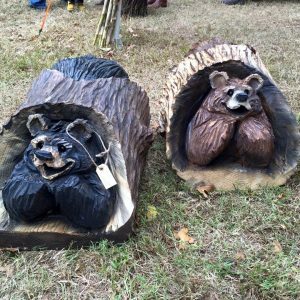 These sculptures run approximately 2.5-3 feet tall and are made of pine or sycamore, depending on our log supply. 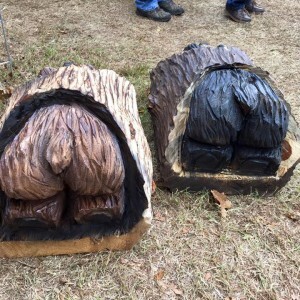 You can choose between a natural colored (brown) bear or a painted black bear. 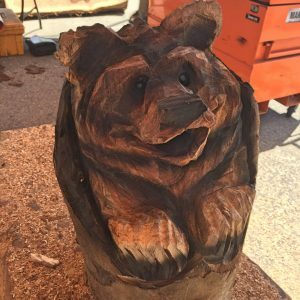 These bears can be shipped, but will require a location address and approximate weight before a shipping quote can be determined. Please inquire for more details. SKU: WB Category: Bears Tag: Wiskey Bear Brand: Eagle Ridge.